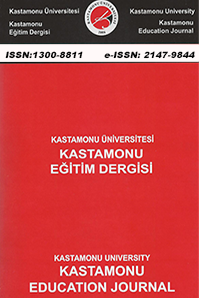 Kastamonu Education Journal will continue to accept manuscripts and full-text articles through the following link: http://kefdergi.kastamonu.edu.tr . Kastamonu Education Journal an internationally double peer-reviewed journal, is published Bimonthly in January, March, May, July, September, November. Articles in Turkish or English are both accepted for publication. Manuscript supmitted to Kastamonu Education Journal needs to be covering education sciences.